She is an author. She is a mother. 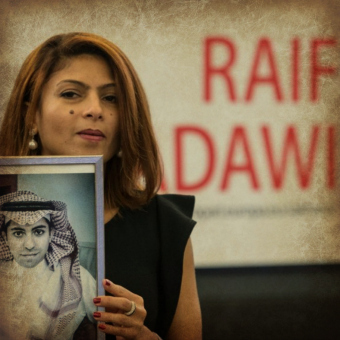 She is a full-time activist, working tirelessly for the release of her husband Raif Badawi, the blogger imprisoned in Saudi Arabia with a sentence of 10 years and 1000 lashes for simply speaking his mind. It has now been 6 years since her three children saw their father, a two-time Nobel Peace Prize nominee. Ensaf updates us on Raif's health, morale, and the need for all of us to do more. Listen to our conversation.